To check out our New Brochure Detailing the Imu-Max technology click Here! Leaders in Feeding Canine Athletes for More Than 20 Years! More than 20 years ago National® Pet Products, Inc., began to develop special formulas that would support the needs of the Canine Athlete -- sled dogs in Alaska! 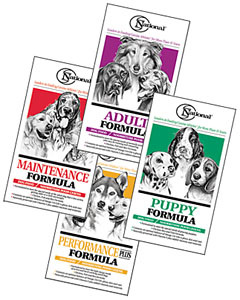 Over the years, National® has continued to help performing animals by developing formulas that meet the nutritional requirements of dogs in training and the demands of competition. National® continues today to manufacture products that you can count on! So whether your dog is performing as a canine athlete in competition or as your special canine companion and member of the family... Feed National!